Martin, I haven't seen anything from you in quite some time. I wanted to see if you had upgraded your X2Pro to the latest version on the 3.0.5 version and how it was running for you. I wanted to see if you have upgraded to 3.0.5 since you had these problems and if everything is working correctly in 3.0.5. Let us know and many thanks. I am not sure how or why you got the results you did that you captured in your screen captures. Without having the files that you used in the individual clip tests that you did, because they were not included in the project media you gave me, i cannot retry and show you my results with your exact FCPXMLs. However, I have tested and documented for you everything that I did for the most recent tests which were identical to your description, and I got the correct results. In regards to the multiclip files, I will have to get with my developers and product management on how this should be treated and communicated to our current and potential customers. Last Edit: 3 years 9 months ago by Jeremy Norwood. My test results on my Mac here with your media has been consistent to the examples i have provided you and that Graeme and myself have explained is how X2Pro was built to work. I tried your test with attached audio disabled, with the "Discard disabled clips" checked and unchecked and the results were correct in the outputted AAF. I've uploaded your test by the ftp link you gave. Thank for that Jeremy. 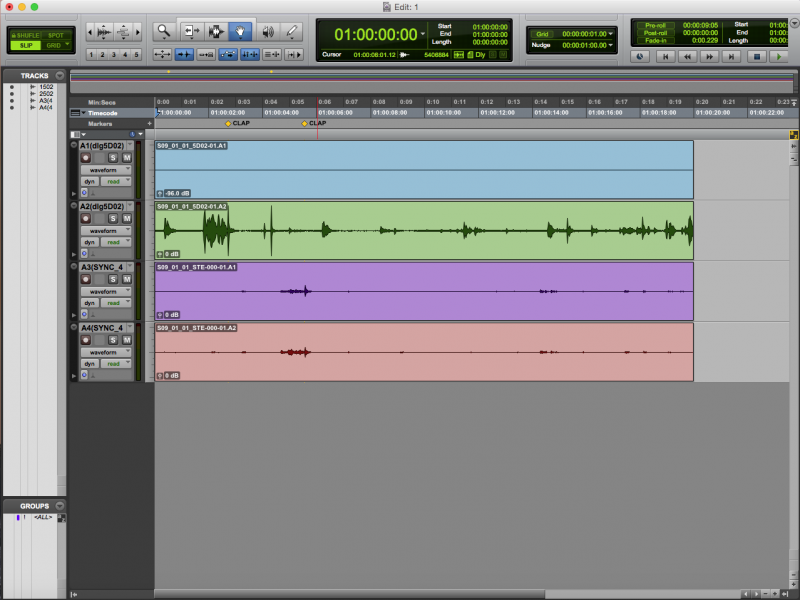 but … i’m really surprised to see that you detach the 5D audio for this test. It may be better to reproduce the SAME timeline as mine. Isn’t it ? Could you try the same test without detaching 5D audio. Can you report to the 3 screen grab i’ve posted on this topic ? 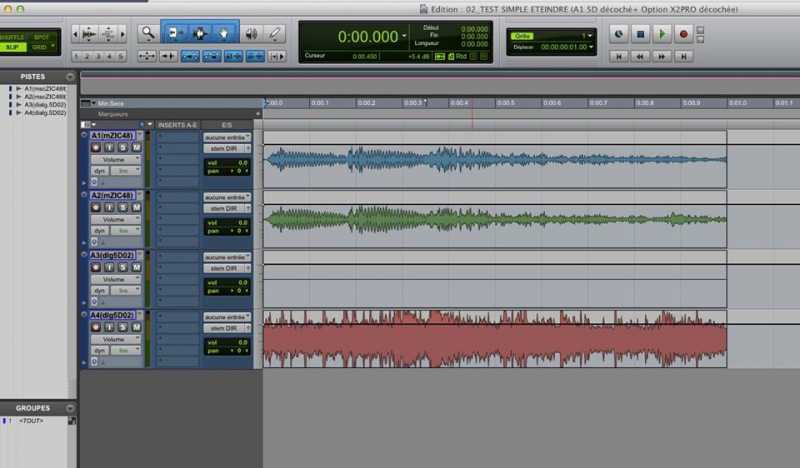 The 2nd and 3rd test is just a 5D clip plus an other connected audio. You can try that easily with the files i sent yesterday. The First one is a multicam clip and you says that it’s a “normal" bug . Ok, but couldn't you try to do this test .. no ? Does this multicam bug is known for all the multicam clip ? If not, do you know when it happens ? Last Edit: 3 years 9 months ago by jeansemeur. You can send me the link to the WeTransfer there. I've uploaded all the files by wetransfer. Can you give me a way to send you the download link ? My apologies for misunderstanding that all of your files weren't multicam clips. My remarks about the multicam clips is still correct for your first example and question. In regards to the other non-multicam clips, in my test today i am not getting the same results as you. Therefore, we are going to need to get your source Project XML and media for us to reproduce what you are seeing. If you could also provide me with your FCP X version, Your X2Pro version, and your Avid Pro Tools version; it would be much appreciated. If you could provide your email, I will send you the FTP credentials in a message. I'm a bit surprise by your message because i posted all the info and XML are really explicit about the fact that it's or not a multicam clip ! Those 2 last exemple are here to show that the problème is nt a multicam issu !!! So the explanation of Graeme is what it "should" be and not what i found in a simple clip. To come back to the well known "bug" of multicam clip , why don't you communicate about that ? Does user have to test your app ? Can you confirm that you are testing and using multicam clips? Have you tried using any non-multicam files? I ask because, after some investigation into your files, we believe that this is a known bug that doesn't affect "normal" clips but does affect multicam clips. 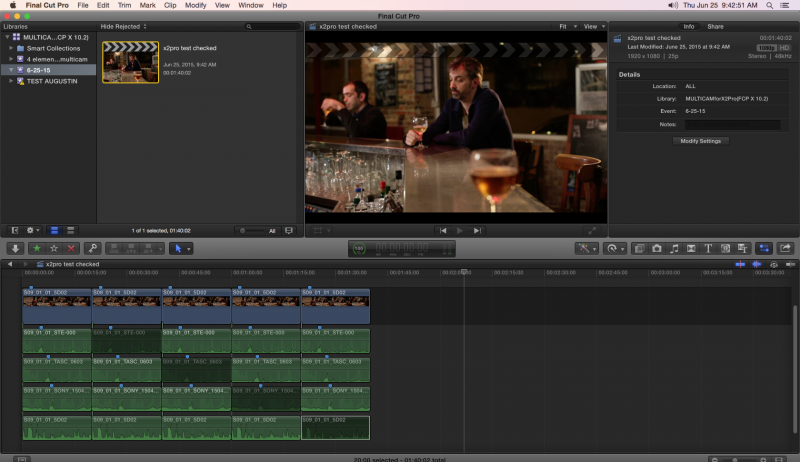 The explanation that Graeme gave on his first post is what is expected and seen when using non-multicam clips in the FCP X project. I have tested and re-confirmed that today. We have plans to fix this problem, but I can't say how long it will take to fix because it's not an easy fix. Thank you for your communication and detailed information. It should help us in our work in fixing the bug. 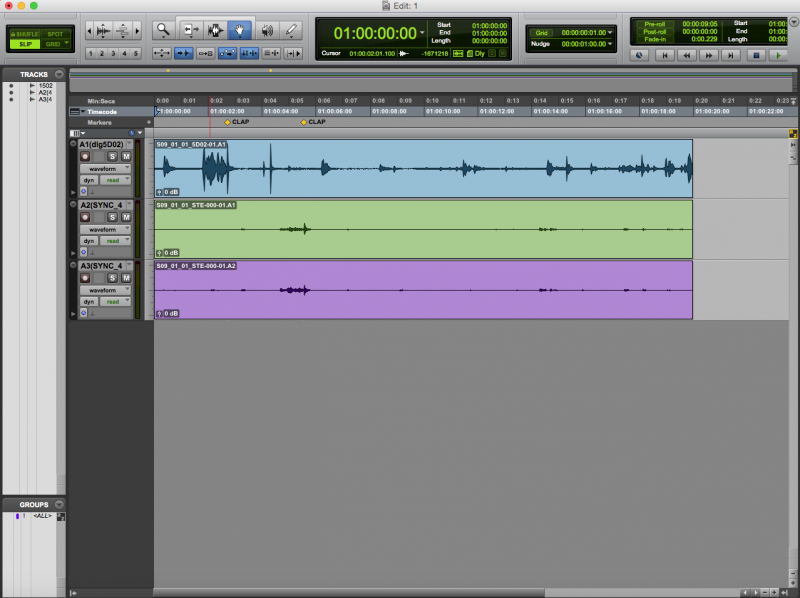 In this case, The A1 component of the 5D audio is "muted" (with v shortcut) in the time line. 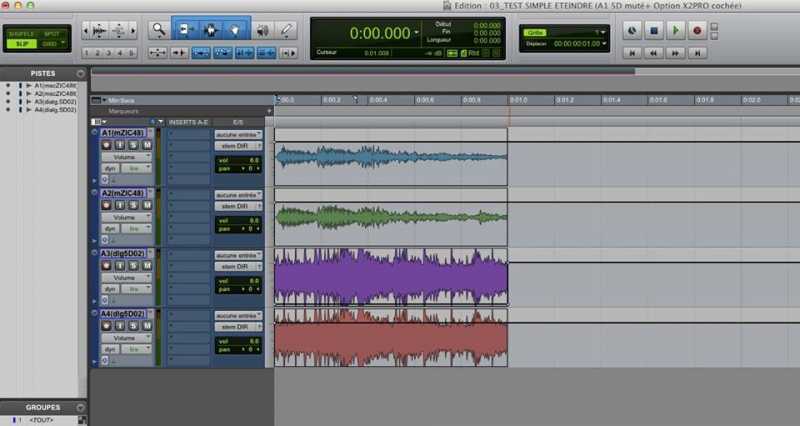 and as you can see the ProTool timeline is not the wanted one !!! The a1 component should be out of the ProTool timeline !!! This is the same thing that in the first problem (with the multiacm clip). So it's not a problem with multicam !!! Waiting for your reply for my first problem, i would like to submit another one !!! 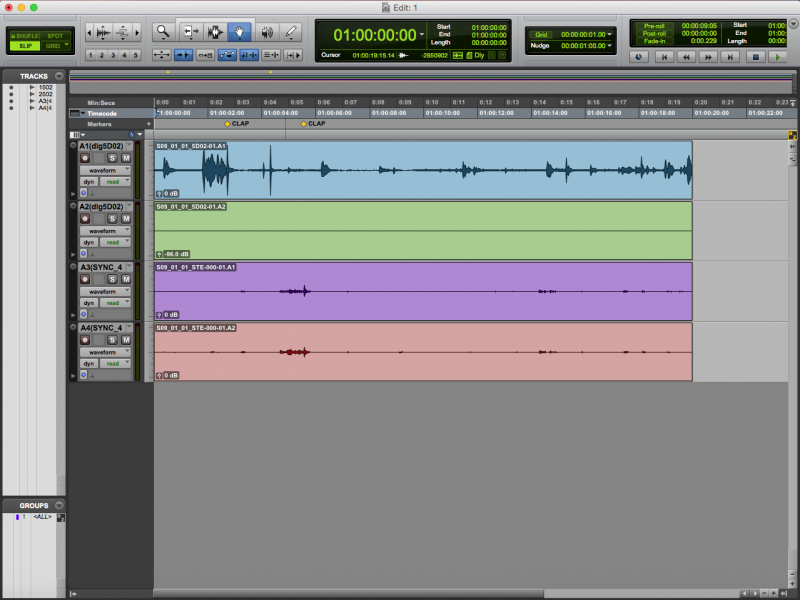 And when it's opened in ProTools you can see that there is an "empty" stem for this first component (with normal automation). But when you uncheck the "Discard Disabled clips" option this component has to be in the ProTool timeline and the automation has to be to -96dB !!! The exact inverse !!! 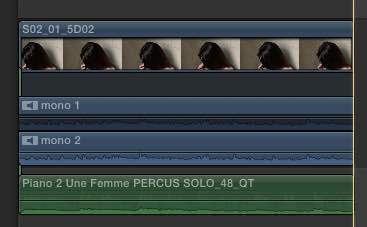 PS: same phenomenon when i uncheck all the 5D audio in FCP X : it gives 2 "empty" stems in ProTool with the "Discard Disabled clips" option unchecked. But but but ... how do you explain it doesn't work here ? 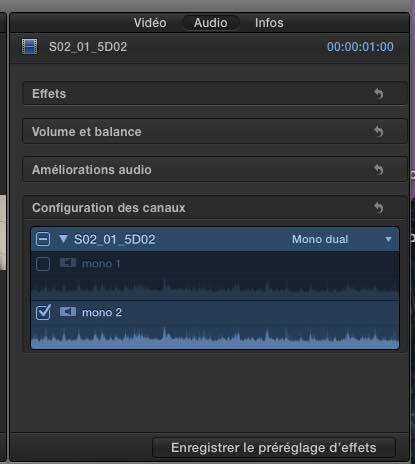 if the option is turned on : how do you explain the 5D audio component of the 3rd clip is still in the AAF ? 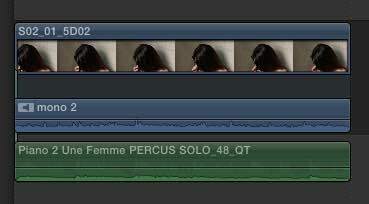 if the option is turned off: how do you explain the 5D audio component of the 2nd clip is still out ? isn't it métaphysical Graeme ?